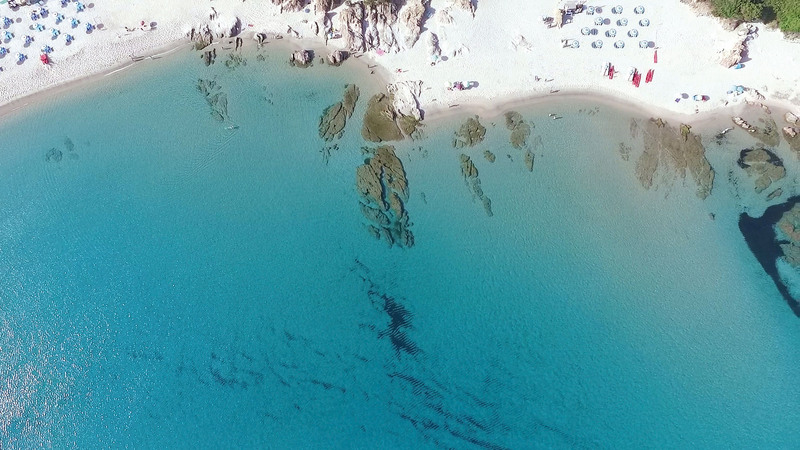 Home > Sardinia > Blog > The most beautiful sea in the Mediterranean just a stone’s throw away. Come to the North of Sardinia! The most beautiful sea in the Mediterranean just a stone’s throw away. Come to the North of Sardinia! 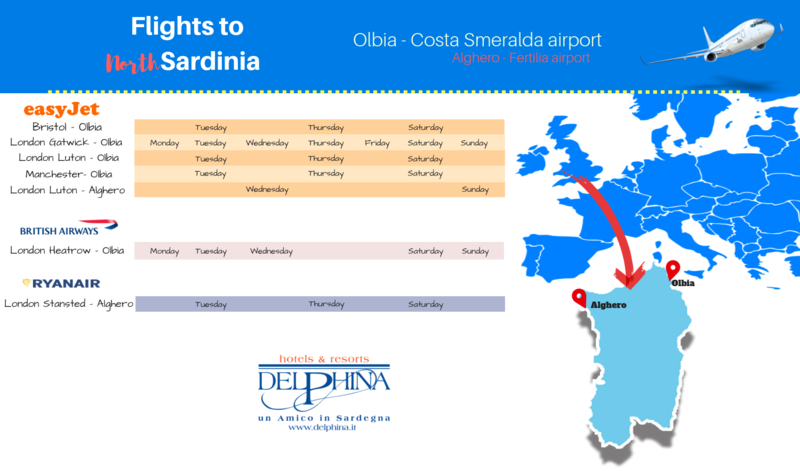 Here are the direct flights from the United Kingdom to the North of Sardinia, the Costa Smeralda airport at Olbia and Fertilia airport at Alghero. Enjoy an unforgettable vacation less than two hours from home and dive into the most beautiful sea in the Mediterranean with Delphina hotels & resorts. You don’t need to spend hours in a plane in order to reach the most beautiful destinations in Italy for your holiday by the sea. Thanks to new routes between the United Kingdom and Sardinia, all it takes is a maximum of two hours by plane and you can enjoy the sun and the crystal clear sea of the island as well as exploring a magical land, rich in history and surrounded by unspoilt nature. How to get to Sardinia? These are the airline companies that fly from the United Kingdom to Olbia and Alghero. An extensive timetable of flights covering a number of time slots every day of the week. A good opportunity both for those who want to enjoy a long stay and those choosing Sardinia for a Spring weekend to discover the sea and the most beautiful trekking itineraries. Delphina hotels and resorts are less than an hour’s drive from the main airports and ports of Northern Sardinia. In just 30 minutes from Olbia airport you can reach the Resort Cala di Falco in Cannigione which offers a hotel, residences and exclusive villas just a short distance from the Costa Smeralda and which is perfect for holidays with family and friends. In 45 minutes you arrive at the famous seaside resort of Palau, which looks out over the La Maddalena Archipelago and where Delphina have devoted time and attention to families with children at the Park Hotel Cala di Lepre while couples can enjoy all the romanticism of the Hotel Capo d’Orso Thalasso & SPA. Starting from Olbia, you arrive at the exclusive 5-star Valle dell’Erica Thalasso & SPA Resort, in an hour, while an extra 20 minutes by road will bring you to the splendid Costa Rossa and the long coastline at Badesi, home to the Hotel Relax Torreruja, the 5-star Hotel Marinedda Thalasso & SPA and the Resort Le Dune at Badesi, the award-winning family friendly destination recognized time and again by the international press.